Bullish sentiment had already dipped to well under the ten percent mark late last week, giving rise to hopes that a counter-trend rally might finally emerge today after six-plus brutalizing trading weeks and a ten-week-old chart downtrend but the flight to (US) cash has prevented that event from materializing as the new trading week got underway overseas during the night Spot gold dealings witnessed a low on gold at $1,554 per ounce while silver fell as low as $28.20 the ounce. In the market background, the US dollar reached well above the 80.50 mark on the trade-weighted index while the euro got clobbered once again and dipped to $1.283 against it. Crude oil provided further comfort to OPEC spokesmen who had expressed a desire to see black gold trading in and around the century mark per barrel with a near-$2 dip to close to the $94 level this morning. On a "normal" morning, the news from China over the weekend would have brightened trading spirits and would have lifted the precious metals and the commodities’ complex overall. China’s central bank announced late Saturday that it would loosen monetary policy in a clear effort to stimulate the economy after the release on Thursday and Friday of a batch of economic indicators for April that were considerably weaker than most economists had expected. Reaction? Not visible. Not today. Welcome to the "new" normal… where the perception that China is experiencing a worrisome deceleration supersedes the possible benefits of an accommodative stance by the government. The Dow lost more than 115 points in the first 15 minutes of action this morning as the euro-centric gloom once again dominated investor sentiment. Commodities have now wiped out their year-to-date gains and are in the midst of their longest losing streak since 2008. Commodity exchange-traded products (ETPs) witnessed $1 billion worth of outflows in April, led by withdrawals from precious metals and energy, said Societe Generale SA analysts to Bloomberg News. As a result of the above, we now find that players in this niche have slashed their bullish bets on "stuff" by the most (19%) since last November. Gold and precious metals funds shed $467 million in the reporting period ending on May 9th. According to Bloomberg News, "bullish gold bets plunged 20 percent to 92,498 contracts, the lowest since December 2008, CFTC data show. Wagers on a silver rally tumbled 32 percent to 7,159, the biggest decline since late December. Gold prices dropped 3.7 percent last week; the most in two months, as the dollar rose, curbing demand for the precious metal as an alternative investment. Silver declined 5.1 percent to $28.89 an ounce." This, too, will be a statistics-laden week in the US and the markets will have plenty of fodder for wild and woolly action, depending on the tilt to be gleaned from the numbers as regards the US economy. We will be digesting the key April retail sales figures and the CPI temperature’s reading (tomorrow) along with the Empire State index, and inventories. On Wednesday we will read about housing starts, industrial production, and capacity utilization in the US. Finally, on Thursday, the markets will learn about the weekly jobless claims filings levels, the US’ LEI and they will hear from the Philly Fed. Meanwhile, commodity bulls continue to desperately hear that which they must hear in order to survive, from the actual Fed. Suddenly, that June FOMC meeting seems so darn far away… no? As regards the speculative paradigm in gold, they see that "Net speculative length appears decidedly weak compared to historical norms, signaling a continued lack of confidence. What is more disconcerting is that while investors have over the past few weeks appeared cautious of running too short on gold, this fear seems to have evaporated." As for silver, the analytical team finds that "The abrupt increase in shorts is a cause for concern, as a bearish view on silver appears to be gaining traction. The paradoxical increase in longs does not provide much comfort, falling far short of the decline in the previous week. Concurrent with the release of important fundamentals-oriented Johnson Matthey PGM niche data, the noble metals also lost ground in early Monday trading with palladium being spared and showing the least price damage. Platinum dropped to $1,443 per ounce (a loss of $18) and palladium dipped to $593 (a $7 haircut) at last check. More on the JM reports will follow below. For now, we have to deal with the following possibilities, as offered up in the aforementioned Standard Bank weekly futures market positioning round-up. First, in the platinum market, "The elevated level of total speculative short positioning raises the possibility of a short-covering rally should production problems in South Africa resurface, as might be the case with Northam Platinum’s suspension of smelting operations last week Friday." As regards palladium, the "net speculative length now looks distinctly weak, and speculative shorts are uncomfortably elevated (having reached a 12-month high) and the advantage over platinum that palladium appeared to have had in investors’ minds seems to have been significantly eroded." The annual Johnson Matthey PGM reports were released this morning and, after the news embargo was lifted, we learned that while platinum will remain in oversupply this year while palladium will likely shift into a deficit position. The 430.000 ounces of surplus that was present in the platinum market balance in 2011 is likely to persist (roughly at the same level) in the current year. JM also feels that the situation is likely to bring about a trading range in the noble metal of between $1,450 (which is where we are as of this morning) and $1,750 per ounce in the latter half of this year. JM noted gross platinum demand as having climbed by 2% last year, to 8.1 million troy ounces. For more details, you might dive into this Kitco News summary. The situation in palladium however is markedly different and it signals that investor perceptions about the superiority of this metal over almost any other in the complex were, indeed, justifiable. Despite the dis-investment in the metal that we witnessed in 2011 amid hefty and (also) justifiable profit-taking, and despite a 13% drop in gross demand for it, palladium now appears to be poised to shift back into a supply/demand imbalance on the opposite side. As JM’s marketing G.M. Tim Murray sees it, "there will be one further year of sales from Russian state stocks in 2012, albeit at a much reduced level than previously, which will represent the bulk of the remaining government-controlled inventories. Gross demand for palladium in auto-catalysts is expected to rise in line with higher gasoline vehicle output and greater use of the metal in light-duty diesel emissions control systems, resulting in a modest increase in overall gross demand and pushing the market into a deficit." 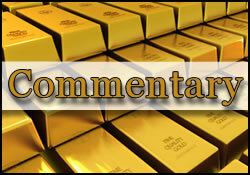 "Gold Heading to Psychological $1,500 Level" blared the headlines in the Dubai Chronicle. The paper noted it expect sellers to test the 89-week moving average at $1,549 the ounce. The same source advised that "Further Losses in Silver Expected" with the breach of the pivotal $30 support level and that the $26.14 low last seen in December of last year could be in the cross-hairs of the sellers. The Globe and Mail concluded that "Gold Loses Lustre As Price Drops" and that "absent a clear signal that the US central bank is prepared to open the money spigot again, gold’s lackluster performance could well continue." "Where to for the gold price?" and the article’s writer replies that "The decade-long bull phase could give way to a major correction." Whilst not framing how "major" the correction might come to be, the breach of the all-important $1,580 mark –in the opinion of a technician the source quotes-places the yellow metal on the brink of such a period. Recent developments in the gold market have prompted Barclays Capital to scale back on its gold price projections and, perhaps more importantly, to reclassify the yellow metal as a one that behaves "closer to risky assets rather than differentiating itself as a safe-haven asset." Meanwhile, the Times of India relays stories about struggling goldsmiths who have had to take up odd jobs to fill the gap left by the lack of work (and especially gold demand which has reportedly fallen by some 30% in Q1 of this year in that country) in the wake of the recent strike in the industry.